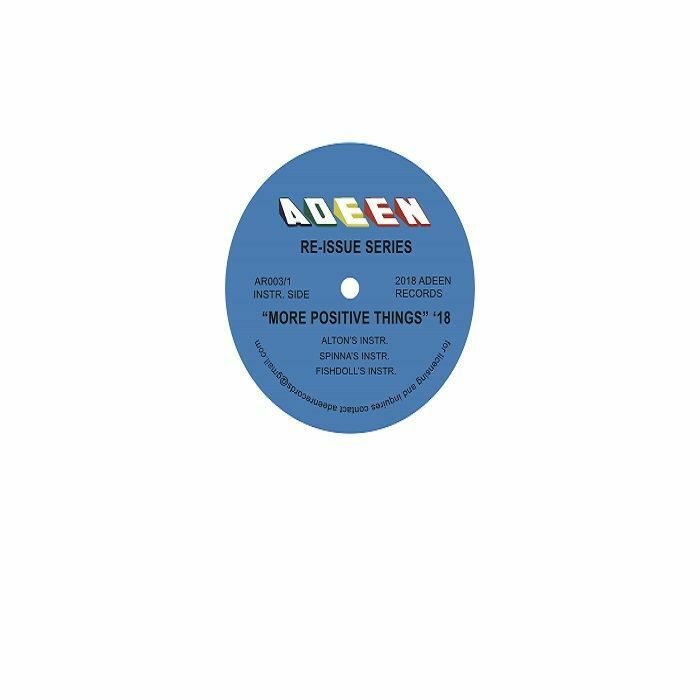 Alton MILLER More Positive Things (DJ Spinna, Fishdoll mixes) vinyl at Juno Records. 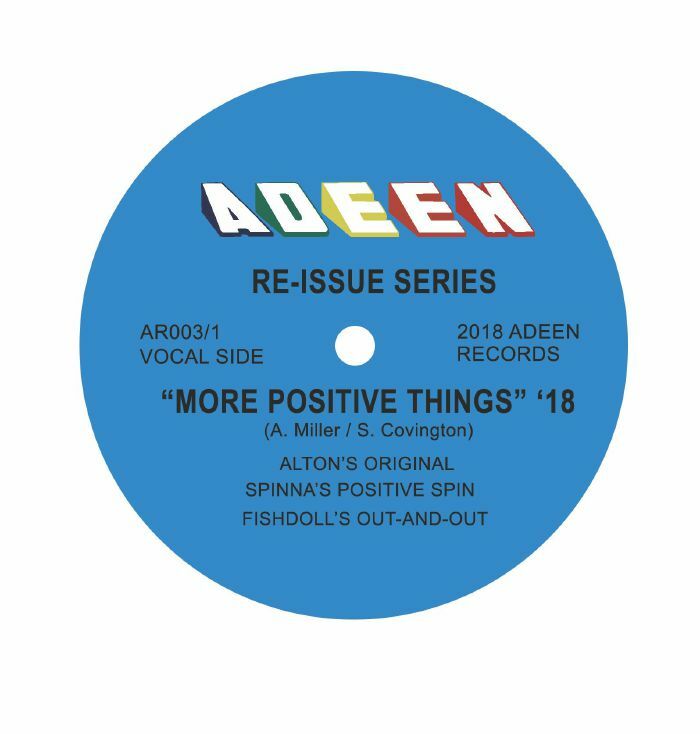 Detroit house legend Alton Miller first dropped "More Positive Things" back in 2016, led by the soaring vocal from Nikki O and backed up with a remix from DJ Spinna. Adeen love the already sought-after record so much they've dived right back into it with an expanded set of remixes and versions. As well as Miller's original deep house gem and Spinna's heavy funking "Positive Spin" take, there's now the added slow-rolling delights of Fishdoll's "Out-and-Out" remix. On the flip, all three versions appear in their instrumental form for those who wish to swerve the vocal for any reason.